AMMAN, Jordan (CNS) — It’s taken three years for Iraqi Christians to return home after fleeing threats of death and forced conversion to Islam, but they are starting to rebuild their homes and lives in their ancestral towns, said Catholic aid groups. 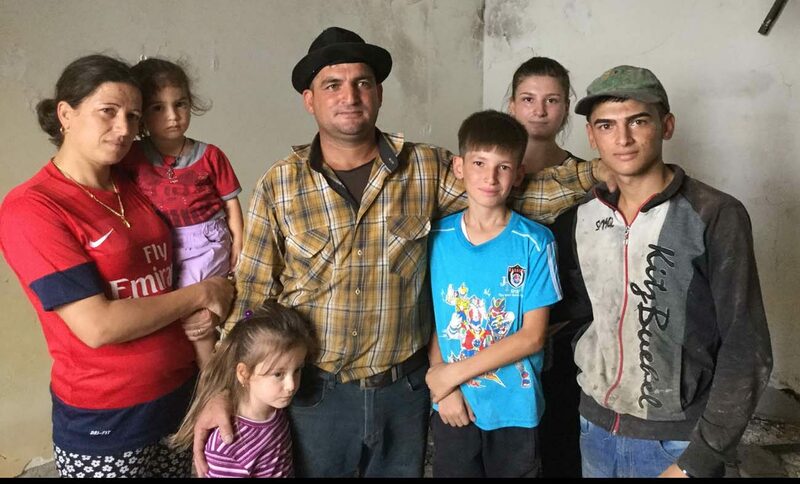 “We met Amir, his wife and five children on a road in Irbil, while they were packing up their belongings in a truck to move back to Qaraqosh,” Marialaura Conte, communications director of the AVSI Foundation, told Catholic News Service via Skype. The family, along with thousands of other Iraqi Christians, sought refuge in Irbil after their hometown and other areas in the Ninevah Plain were overrun by the Islamist extremists in August 2014. The metal carpentry workshop belonging to Amir, who just provided his first name, had been used by the militants to store and fix their weapons. “We met the family the next day in their old house; its walls had been blackened after being bombed by lslamic State militants,” Conte said of the couple, whose children are ages 2-15. “They are totally resilient and want to restart their lives. But the conditions are really terrible,” she said. “Our idea is to follow the people. We have been in Qaraqosh and see that people want to come back to their homes,” Giampaolo Silvestri, AVSI’s secretary-general, told CNS. He and Conte traveled to northern Iraq to assess the current situation and see how their organization can help. “We have seen the people very happy to return home. For sure, they are passing through a very difficult moment, but they are very happy to come back and start a new life,” he added. Qaraqosh needs reconstruction of homes, businesses and schools destroyed by Islamic State, Silvestri said. 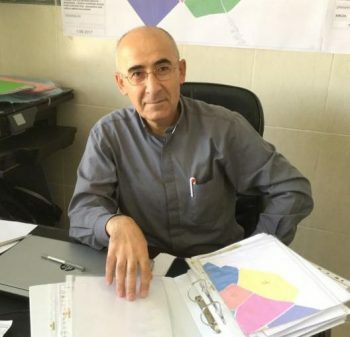 Father George Jahola, a Syriac Catholic priest, manages and organizes the reconstruction of the houses in Qaraqosh with money from the church. Silvestri said various Catholic organizations, such as Aid to the Church in Need, are involved in the rebuilding process, but that more funds must be raised. The Iraqi government has so far provided no resources. Qaraqosh, about nine miles from the edge of Mosul, was once a thriving Christian commercial town of 50,000 people. The Islamic State damaged the famed bell tower of the Cathedral of the Immaculate Conception and decapitated its many statues. Although Iraqi forces recaptured the town from Islamic State last October, it took many months before Christians felt more comfortable enough to return, and their numbers are not huge. AVSI sees education as a type of “reset button” for communities that have been displaced. The Italian-based foundation works in Iraq, Jordan, Syria and Lebanon, as well as more than two dozen other countries. “It’s very important for these children to have places created where they feel comfortable,” Conte said. “We are rebuilding a preschool/kindergarten in Qaraqosh for this very reason, so the children can feel safe and the adults will feel secure while they reconstruct their homes and organize their lives once again,” she said, noting the school should open in September for about 300 children. AVSI has worked on educational projects in Iraq starting after the First Gulf War in 1991. More recently, it has aided Iraqis displaced by Islamic State with a variety of initiatives, including the Catholic University of Irbil and the Baby Jesus House kindergarten in Irbil, managed by the Dominican Sisters. So far, 200 houses have been rebuilt in Qaraqosh, with another 111 on the way. Silvestri said 1,400 houses will be reconstructed, but 6,400 need rehabilitation. Aid officials believe the camps for internally displaced Iraqis will be closed by the end of the year. The move will press Christians and other displaced minorities to return to Qaraqosh and other villages liberated from the Islamic State. Meanwhile, the U.S. bishops’ Catholic Relief Services is providing cash assistance to see homes rehabilitated for Christians and Yezidis in Bashiqa, another Ninevah town. “The church is dealing with reconstruction in Qaraqosh and Bartella, but we are focusing on needs of youth such as livelihood skills, psycho-social trauma counseling, women’s support, and are looking at other components complementing the housing construction,” Hani El-Mahdi, CRS Iraq country representative, told CNS via Skype from Baghdad. He said CRS and Caritas Iraq, both members of the larger Caritas network, were working together. “These people have experienced enormous stress. Most have lost of their livelihoods, and they need to re-establish themselves and their lives,” El-Mahdi said after a meeting with Chaldean Catholic Patriarch Louis Sako in the Iraqi capital. El-Mahdi said internally displaced people continue to stream in to Baghdad from Mosul, Anbar province, and other areas where fighting is still ongoing. CRS is also “aiding the displaced stranded in camps around Mosul providing food, water, and hygiene kits to help people stay alive in the brutal summer heat,” he added. Fans and material to provide shade outside of tents are provided, El-Mahdi said, as children and the elderly try to cope with sweltering temperatures inside the tents and heat outside topping 120F.